This past weekend in Seattle was the 25th anniversary (Silver Jubilee) of Sub Pop Records. On Thursday, I learned that a few bands were going to play a closed set on the tip of the Space Needle, which you could watch streaming online or archived later. My favorite band of all time is Dinosaur Jr and their frontman J Mascis was to be there. Amazing what you can find on Amazon. My plan was to find the video and watch it sometime next week. Later that evening I learned J Mascis had a flight delay and missed the show. So Sub Pop announced he would be putting on a free show at noon on Friday at Nordstrom’s. My first thought was I read it wrong. Nordstroms sells clothes. It isn’t a concert venue. I had to be downtown that day anyway, so I decided to see if I was being pranked. I showed up around 11:45 AM and less than 10 people were standing around the escalators. We all had questionable looks on our faces like maybe this might be a joke. I also thought maybe there was a better location in the store where he might play. Why would the 5th greatest guitarist in the world be playing the shoe department at Nordstroms? Then more and more people starting showing up. J arrived a few minutes early, plugged it and started playing at Noon. For 30 minutes, he put on a perfect show. 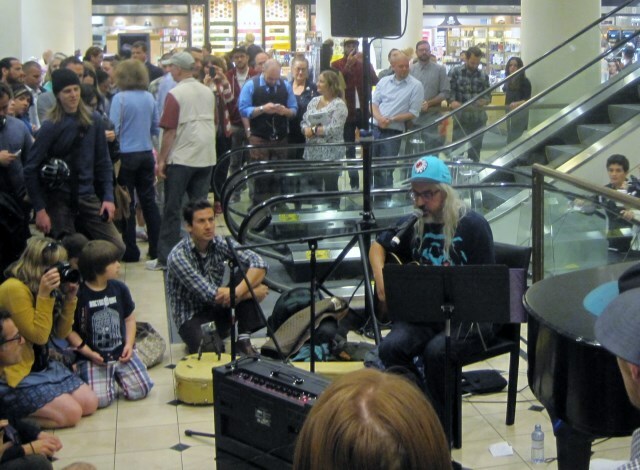 Only in Seattle would J Mascis stop by the shoe department of Nordstroms and jam for 30 minutes. I loved Darren’s mini review on Facebook. 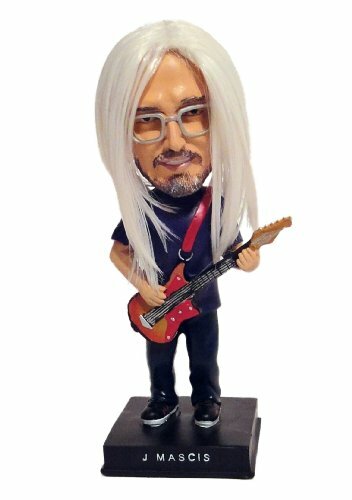 UPDATE: For those that missed this show, check out J Mascis at the Kennedy Center. He plays all the tunes he did at Nordstrom except Flying Cloud plus a few more. Next Can Running Be Antifragile? Damn, I would’ve liked to be there, too!